Enfield Municipal Council operated between 1889 and 1949. 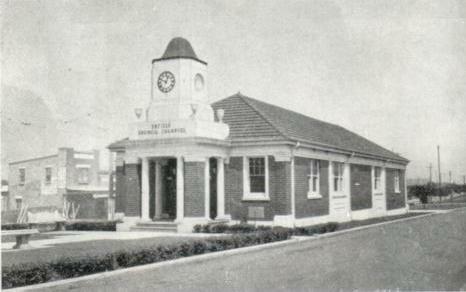 On January 1 1949, the west ward was merged with Strathfield Council and the central and east wards merged with Burwood Council. The west ward of Enfield Council included the suburbs of Enfield [part], Strathfield South, Belfield [part] and Greenacre [part]. In the 1877 Grenville Postal Guide only 148 householders were recorded in Enfield, primarily farmers, market gardeners, tanners, woodcutters, dairymen, potters, fencers, carpenters and labourers. However, by 1888, the population of Enfield had reached 1500 and local residents submitted a petition to the NSW Governor requesting the formation of a municipality. Enfield Municipal Council was incorporated on January 22 1889 and elections were held on March 23 1889. The boundaries of Enfield Council, according to the 1890 Sands Sydney Directory, were described as ‘From the corner of Greenhill Street and Liverpool road; thence southerly along the west side of Greenhill Street to the George’s River road; thence westerly along the north side of the George’s River road to the Burwood road; thence southerly along the west side of Burwood road to Cook’s river; thence along the north bank of Cook’s river to the bridge on the Liverpool road to the point of commencement of Greenhill street’. The first Aldermen elected to Enfield Council were: Thomas Hodson, Hugh Cadden, Frederick H. Lipscomb, Herman H. Groth, Thomas S. Richardson, George Westbrook, James Eve, William Foy and Luke West. The first Mayor of Enfield was James Eve and the Council Clerk Edward A. Pyman. Parade in 1893, remaining there until new Council Chambers were built on the corner of Liverpool Rd and Coronation Parade in 1930. The former Enfield Council Chambers are heritage listed on Strathfield Council’s Local Environment Plan. The Enfield War Memorial is located at the front of the Chambers and was opened in 1924. In 1947, the NSW Government legislated the ‘Greater Sydney Plan’, which advocated the amalgamation and reduction of 67 shires and municipalities in the County of Cumberland to 39. Many small Councils were amalgamated at this time such as Rookwood with Auburn Council, Mascot with Botany Council, Vaucluse with Woollahra Council and Homebush with Strathfield Council. Enfield Municipality was split with the west ward of Enfield Council joining Strathfield Municipality and the central and east wards joining Burwood Municipality. A council election was held on 12 November 1948 of the new United Area of Strathfield Council, which also included the west ward of the former Enfield Council. The Council was divided into two wards – First Ward and Second Ward. 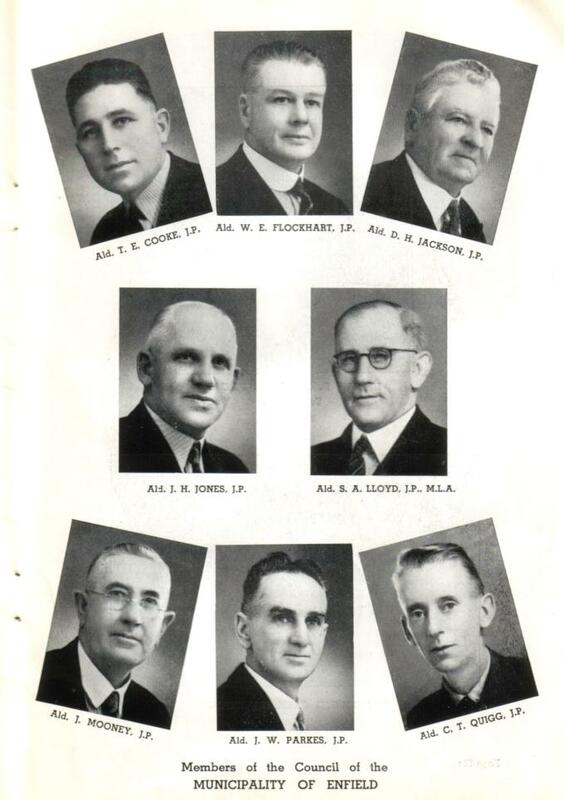 The First Ward was composed of 12 Aldermen and included the Strathfield and former Homebush council areas. The Second Ward was composed of 3 Aldermen from the Enfield Council area. Former Enfield Aldermen Allan Stanley Hanson, James Clarence Morgan, William James Weiss were elected in the 1948 election. The last meeting of Enfield Council was held in December 1948 and on 1 January 1949 the western ward of Enfield Council was formally amalgamated with Strathfield Council.